Buying a prepaid German SIM card in Germany is often difficult for tourists due to insistence on local address by some vendors, and language barriers. For pre-paid SIM cards, the retailer has to see and put on record official ID, i.e. the passport or national ID card. Unfortunately, many stores require you to have a local address. Foreign addresses are often not accepted. If you do not have a German address, try to use your name with c/o name and address of someone else, e.g. the hotel you’ll stay. This may not be accepted always. Prepaid German SIM cards are available at airports like at Frankfurt Airport e.g O2 Shop is located at T1, Area B, Level 1. The most convenient way to purchase a SIM card for a visitor is to go to one of the big supermarket, drugstore, service station or electronic market chains. Buy top-up vouchers called Ladebons in many stores with a PIN to enter. 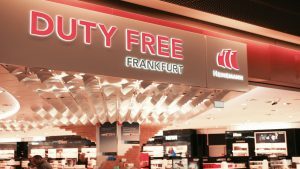 Go to one of the three drugstore chains (Rossmann, Müller, dm) or to cash and carry markets like “real” to top up most brands. You can use MNOs vouchers for MVNOs e.g.Vodafone vouchers for Otelo, Fyve, Edeka and LIDL Connect. By law, all SIM cards need to be registered first to be activated. Registration is not often done in shops but online or by phone. Phone activation can be tricky too, because of the language. Online registration is usually in German only, but possible with the help of an online translator. Look for the words registrieren or freischalten on their website and keep phone and SIM numbers ready. Registration can take some minutes up to a few hours, until your SIM card finally connects with the network. You may need to switch off and on your device to connect. There are now only three network operators in Germany and number of MVNOs listed in the table. Many MVNOs offer low per minute rates to call internationally, but then charge a large connection fee at the start of each call. Please top up 9.99 €to the SIM card to get above packs. Please top up 4.9 €to the SIM card to get above packs. Of course, if you would rather buy the SIM before travel so that you do not have to go hunting, or are traveling to multiple countries on the region, or would like to know your number before you travel, we have a prepaid German SIM card for you.